Due in large part to his own perpetuation of the term, Trick Daddy will always be labeled a thug. But in his Y2K-era heyday, Slip-N-Slide's flagship artist was making records that were as progressive as anything hip-hop's more self-aware innovators were being touted for at the time. 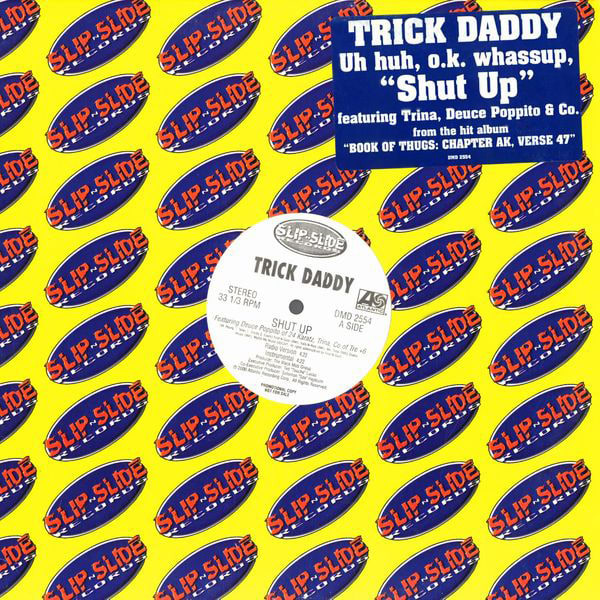 "Shut Up" sounded like nothing else when it hit in 2000, and it still stands out as one of the most unusual sounding rap songs to ever clock national radio play. From the marching-band stomp of Black Mob Group producer Tony Galvin's beat to Trick's head-scratching hook and the charisma-oozing verses from Trina, C.O. (of Miami G-Funk duo Tre +6) and Deuce Poppito, "Shut Up" made everyone who heard it STFU and pay attention.